The Era of Man began two millennia ago with the creation of the Kaga. 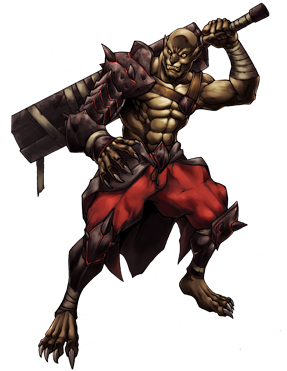 Under the Kaga’s leadership, Man overthrew the evil First Ones. 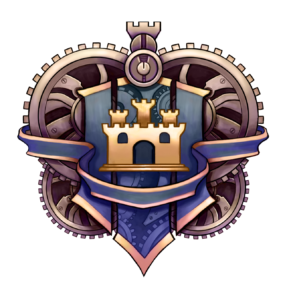 New kingdoms rose and took over Exodus. Three centuries ago, the great nations of Exodus turned on each other in a world-wide war that became known as the Twilight War. For decades, the war raged in and ground the nations of Exodus. 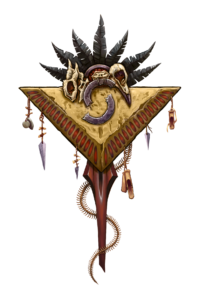 After the battle of Aremyhk, a new group, known as the Janissaries – psionic monks – imposed a peace and forced all four nations to get together. Thus the Arman Protectorate, the Caneus Empire, the Dominion and the Reis Confederacy formed a confederated government named the Imperial Alliance, ruled by a Senate composed of nobles from each nation. This was the first year of unification and the calendars were renumbered according to the year 1AU. In the following years, Sametian nobles sought acceptance into the Alliance but were refused due to expansionist view on the territory by each member nation. In protest, they declared “Since civilization turned its back upon us, so shall we turn our back upon it”. Almost overnight, Sametia turned to barbarism and active destruction of anything civilized. 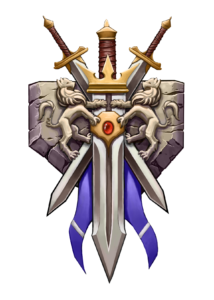 In 69AU, the Sametian united under a Warrior-Queen and took the name of Janus Horde. The Arman Protectorate is a hereditary monarchy ruled by Tsarina Anayanka Kryszkas. The Protectorate is part of the Imperial Alliance. 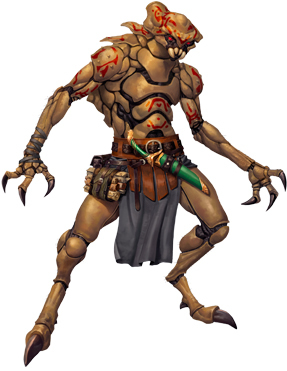 The Protectorate controls vast armies of golems and constructs they call Clockwork Warriors. 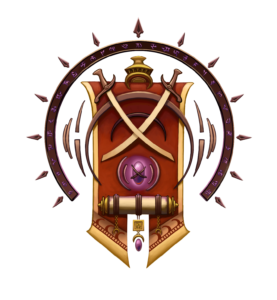 Clockwork Warriors provide additional support and power. The Protectorate is a Neutral nation. The Caneus Empire is a feudal monarchy ruled by Empress Cassandra Eland. The Empire is part of the Imperial Alliance. The Empire is best known for its knights. The empire has the most professional army in all of Exodus and its nobles constantly train to keep their skills sharp. The Caneus Empire is a Lawful Neutral Nation. The Dominion is a Magocratic Monarchy ruled by Khagan Malik ibn Al’adim. The Dominion is part of the Imperial Alliance. 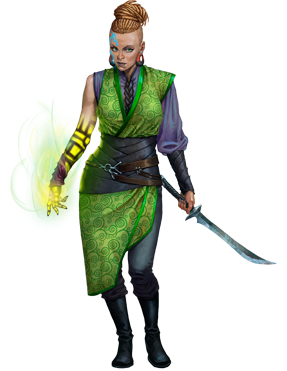 Most notable in the Dominion is that its nobility is composed almost exclusively of spellcasters. The Dominion is one of the most cosmopolitan nations on Exodus. Because of this, its army is the smallest in the Alliance, but its magical power is vast. 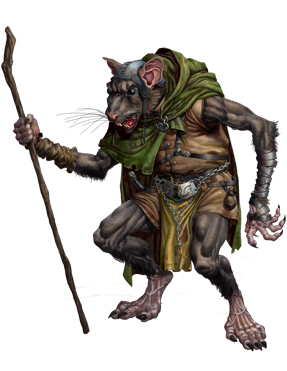 The Dominion is mostly Lawful Good, but many well-integrated elements lean towards evil and selfishness. Gavea is an island nation to the west of Exodus. It is a fractured land ruled by tribal leaders. It is not a part of the Imperial Alliance. Gavea is very much a frontier that has yet to be thoroughly explored by the powers of Exodus. 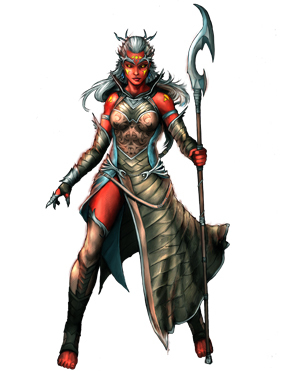 The Janus Horde is a barbaric horde ruled by Warrior-Queen Thais of the steppe. Actively seek to destroy civilization. The Horde is not part of the Imperial Alliance. The Reis Confederacy is a confederation of mostly independent city-states ruled by the cursed Imperatrix Lolani Gazsi. It is part of the Imperial Alliance. The Confederacy boasts the largest collection of huge monsters and tribesmen from its dark, impenetrable jungles. Its armies are vast, but territorial. As a nation, the Confederacy leans heavily towards chaos and evil. 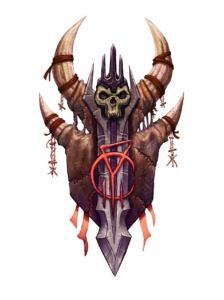 The Brotherhood of Khayne: A murderous cult dedicated to spreading mayhem and destruction. The First Ones: The First Ones are the bogeymen of legend. Defeated two thousand years ago, they have disappeared from mainland Exodus since. The Folding Circle: A group of terrorists led by the mysterious Makesh. The Folding Circle would be considered public enemy number one. 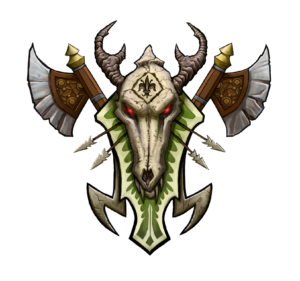 The Janus Horde: The barbaric hordesmen attack any settlement they can all around their borders. Android: Androids are superficially identical to humans in many ways, and to the uninformed it can be difficult to differentiate the two. In the right light, though, androids’ alien nature is revealed by the metallic sheen in their eyes and the biological, tattoo-like circuitry that riddles their skin. 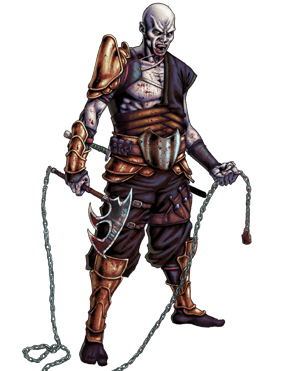 Enuka: The most primal and barbaric of the savage humanoids have nothing on the enuka. Enuka are ferocious creatures of the wild lands, animalistic predators blessed with humanoid form and intelligence. This combination has not softened their instincts for battle and the hunt, but it has given them a fatalistic warrior culture well suited to their savage natures. 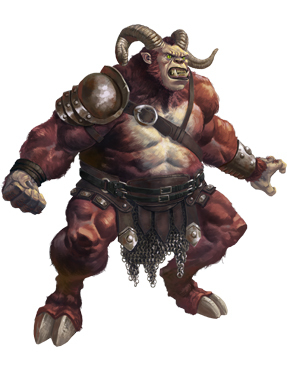 Half-Giant: Far back in their ancient history, half-giants were slaves to some form of king. 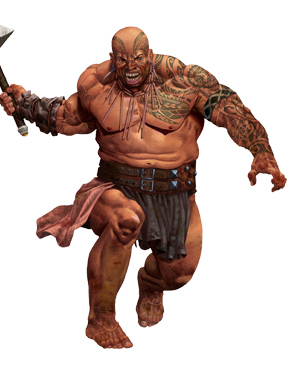 Their stories vary from tribe to tribe, but their former status as slaves is one thread that is common in the lore of every half-giant tribe. 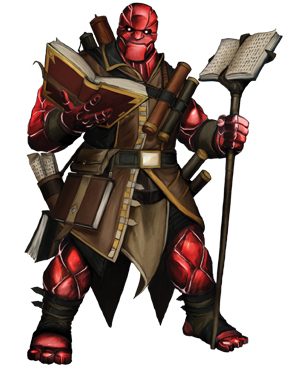 Tiefling: The tiefling – or Gevet as they are known on Exodus – hail from deepest reaches of the Burning Lands in the Dominion. 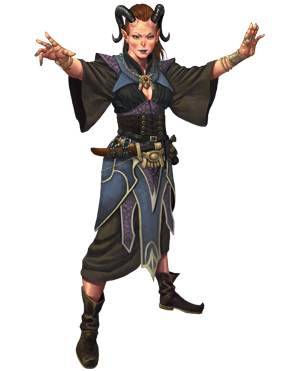 The tiefling claim to be the first to have mastered magic and that it is their descendants that ruled the lands as the first khans. Such a claim is rejected by the Dominion authorities. The Sanguine Covenant is a monotheistic religion that seeks to control all others. 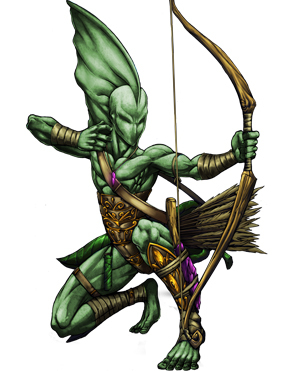 The Covenant opposes fiends (undead, evil outsiders, evil elementals, evil shapeshifters and more). The Church of the Kaga is a religion based on gathering knowledge for the Kaga. The Church of Khayne is a brutal church dedicated to Khayne, the vile lord of death and murder.